NASA wants you to interact with their Double! NASA’s Solar System Exploration Virtual Institute (SSERVI) would like you to try out their Doubles! 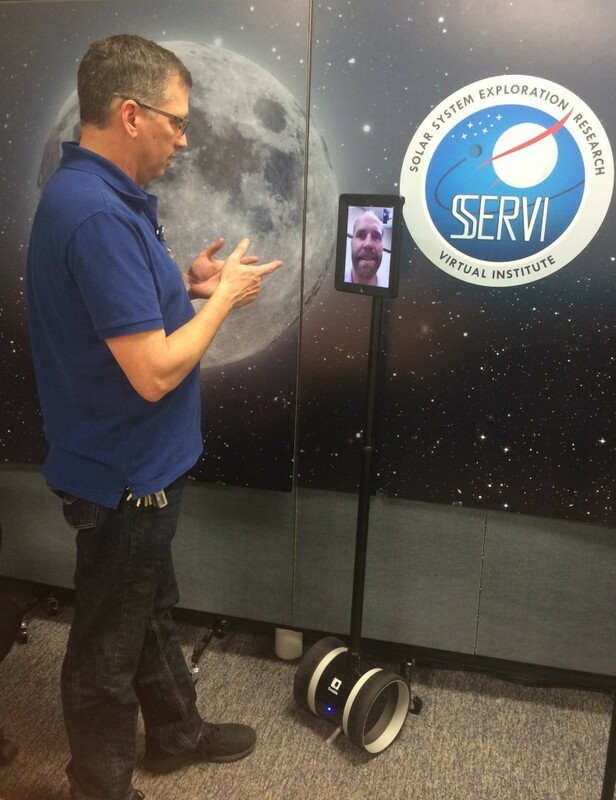 Users can call into one of their robots and get a virtual tour of SSERVI. Please email Ricky Guest or Teague Soderman with “Double Robot Guest Access” in the subject line to obtain a user name and password.